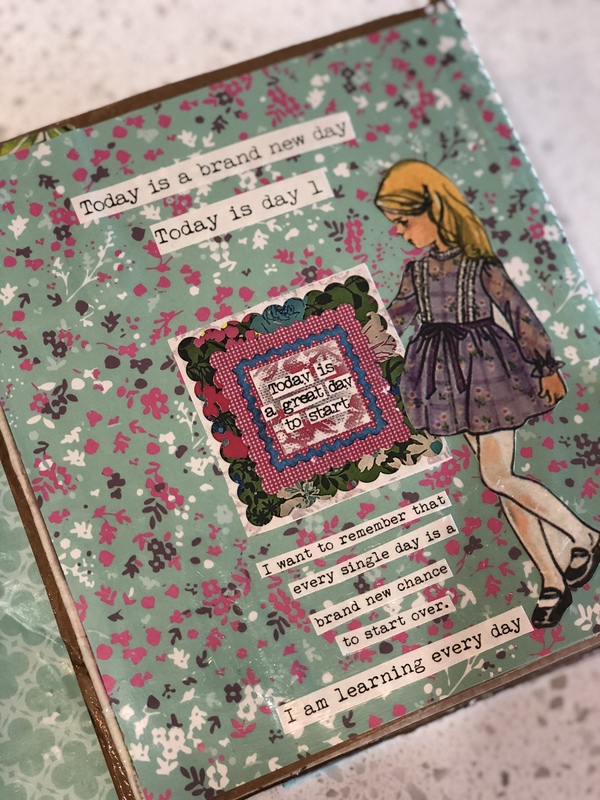 I wanted to design a fun, beautiful, quick art journal/book out of simple, inexpensive supplies like cardboard and tape, and THIS is that class. I LOVE IT and can’t wait for you to learn to make your own. You’ll learn how to gather a whole bunch of this and that and use it to collage onto your pages. Then I’ve written pages and pages of words and sentences for you to choose from and cut out for your pages…things that every Brave Girl heart needs to remember…things that we sometimes forget. Most important of all is that you bring yourself along so that YOUR SoulBook is uniquely yours. 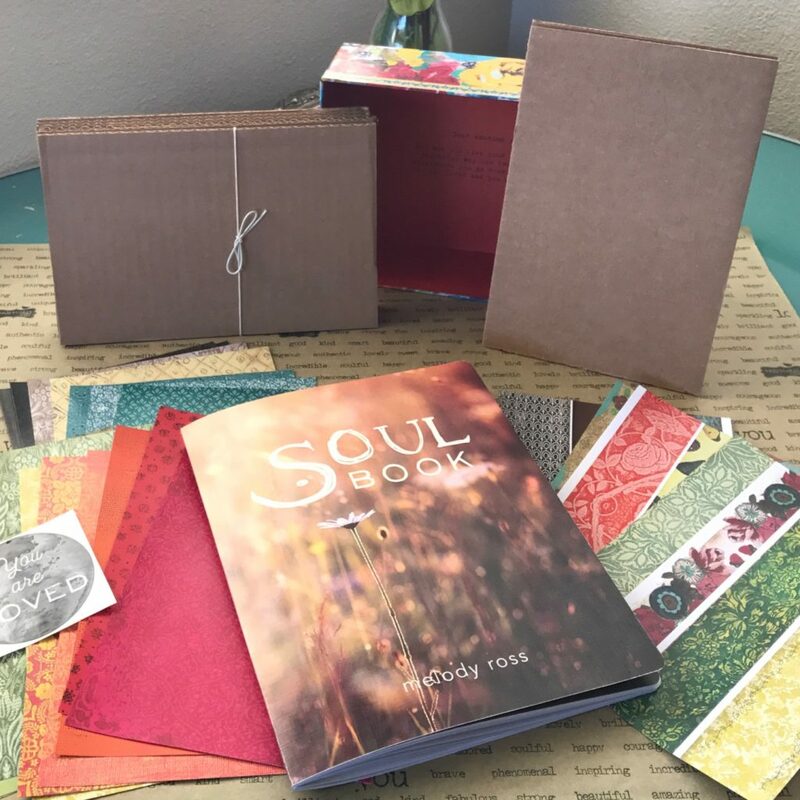 You’ll be walked through every step and given lots and lots of ideas that will guide you through creating your very own beautiful, soul-stirring SoulBook that you will LOVE! 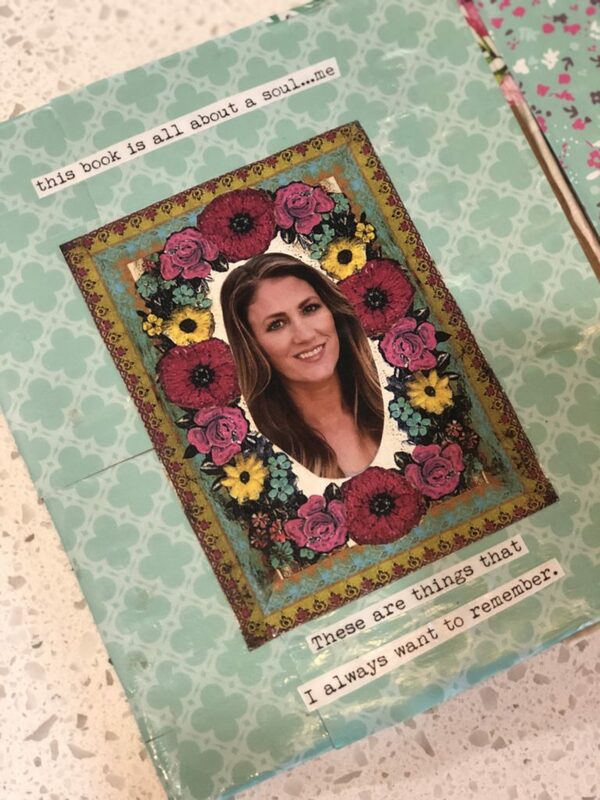 Would you like to spend time creating your book among other likeminded women? 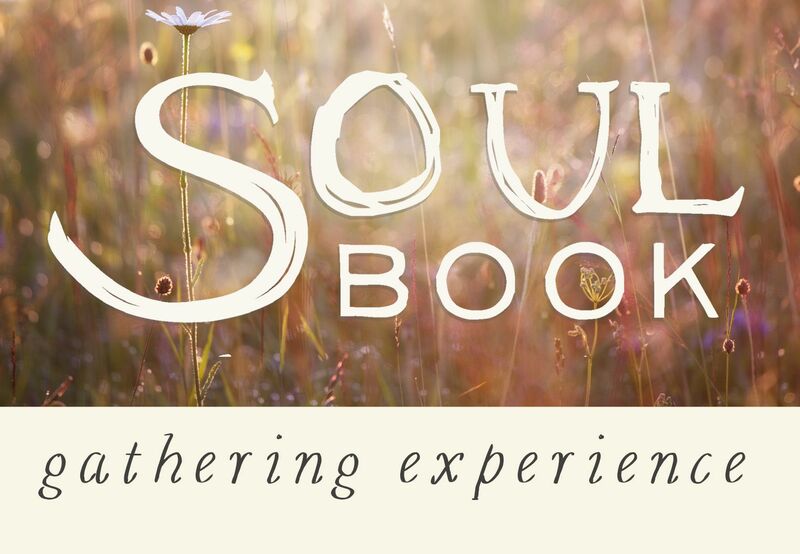 This workshop creates a safe space among soul sisters to share stories, ideas and friendship. 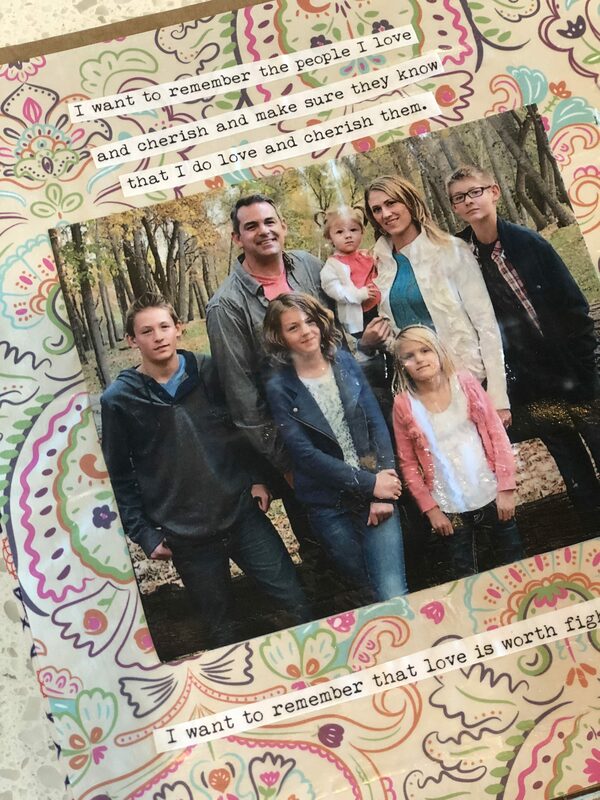 You’ll have 6 total hours of access to all of my crafting supplies (over 2 nights November 16th and December 14th) as well as a complete packet that has more than enough supplies to make a meaningful work of art that will soothe your soul over your lifetime.